1. 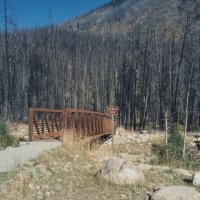 Represent the City on the Weber Trails Committee and other committees to help promote trails in accordance with the best interest of City residents, to protect their property and interests. on the Value of Trails. Join us to celebrate over 100 miles of safe, separated, and connected multi-use trails linking Ogden and Provo on Saturday, June 2. City Hall has maps made by Weber Pathways that show all trails and bike routes open to the public. These are nice maps available for free, so come in and get one today! · Real estate industry analyses predict that over the next 25 years, real estate values will rise fastest in communities with open space and networks of hiking, biking, and equestrian trails. · Owners of small companies ranked trails, parks, and open space as the highest priority in choosing a new location for their businesses. · Open space and trails are among the top five factors that large companies consider when deciding where to locate their businesses. 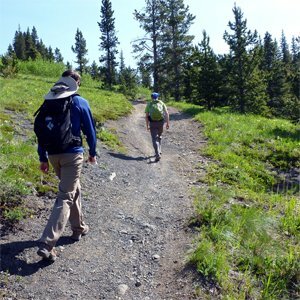 · Hiking and trails stimulate tourism. In Moab, Utah, for example, trails-related tourism supports over 1700 local jobs, generates over $1.5 million in annual tax revenue, and accounts for over 75 percent of the local economy.